Once upon a time, Baby Bop, Ryan and Daniel joined Barney on some storybook adventures! With the help of classic tales like Pandora's Box, Sword in the Stone, and more, the Dinos and friends learn important lessons like patience, honesty and perseverance. 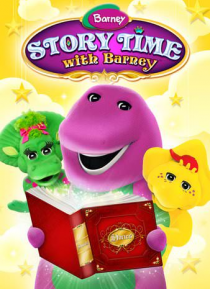 Barney shows that stories, imagination, and friends can lead to Happily Ever After!